mford had the most liked content! Yeah, chopping at the bit to get out there. Sunday's winds look good if it happened to be clear. A lot of ice was coming down the river today by the looks of dennis's post. I guess time will tell. How far west do you think I have to drive to find a clear boat ramp on Erie? There is a whirlpool cam? I thought there was a shore derby as well. oh well. I lost a possible contender at the side of the boat. Does anyone know the standings from the shore and boat derbys this past saturday? I didn't realize there was a derby on down there until it was too late. Fishing was good though. I don't eat the fish from the lower any more. They taste different. They are a lot easier to catch there though. thanks guys, I had one that was going to go in the smoker but it spit the hook ten feet in front of me. 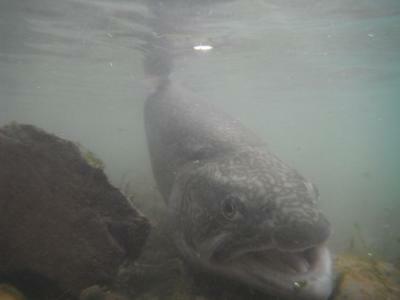 The Upper niagara strikes again, im 0/4 fot he last 2 outings, i can;t seem to land them. Anyone have some good smoked rainbow trout recipes? Please share. Each year I go to Vancouver and eat this smoked salmon that is on the firm and chunky side and sweet. Has anyone done something like this? upper Niagara look for slack water closer to the fort erie end of the river. heading up there next week. how did it go? Thanks for the advice, do you leave your motor on the whole time you are up past the power plants or are you referring to just the way back? We sat in a back Eddie with spot lock on for about a half and hour but we did have the big motor off. Deetch, i agree with you the path up and down were a thrill. Does anyone else have some pointers or past experiences to share? HI Guys, I followed up a boat past the power plants yesterday and I have to save it was awesome. I'm looking for some tips or things to look out for as I'm not a expert in that part of the river from the boat. Coming back down was a little tense driving around the massive eddies but with a little gas we got out of dodge rather quick. Obviously this part of the river can be dangerous and i'm looking to learn from others "oh doo-doo" moments. And...... Go! I agree, i launched there yesterday and it would have been easier without docks. a cleat or something would be nice.